Accu-Tech is your local appliance repair company servicing much of Northern NJ. We are dedicated to providing expert maintenance and repairs of all major appliances from brands like Whirlpool, LG, Maytag, GE, Frigidaire, Amana and more. Your appliances are the lifeline of our business and we understand how important it is that your repairs are performed in a timely, courteous and professional manner. 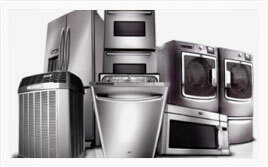 We service refrigerators, washers, dryers, dishwashers, stoves, ovens, cooktops and microwaves. To request service for your appliance call us directly at 973-446-1084. Same day home service appointments available. Free service calls with any repair! Serving customers in Morris County, Passaic County, Sussex County, and Warren County New Jersey. All our technicians in the New Jersey area are put through a rigorous training program & are fully prepared to handle your appliance repair needs. They are trained on all the major manufacturers like Maytag, Bosch, Whirlpool, GE, Frigidaire, & more. All service technicians have fully-equipped trucks, complete with a full inventory of factory-direct parts. 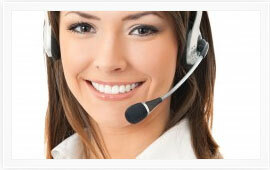 In the majority of service calls, they can solve your appliance problem in just a single visit.